Preheat oven to 350°F. 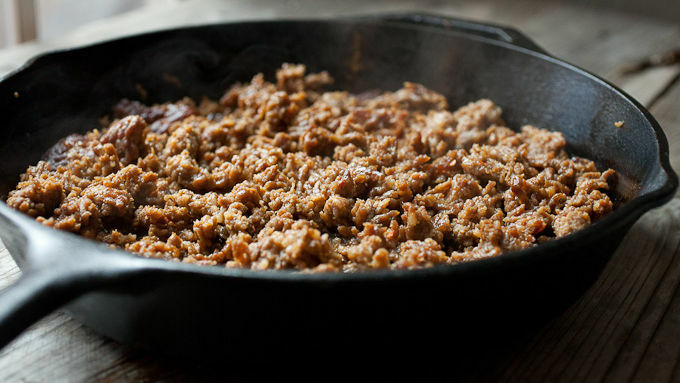 In a large skillet over medium heat, add olive oil and sausage and cook until sausage is browned, 8-10 minutes. Add tomatoes and chili sauce and stir together. Let sauce and sausage simmer for 15-20 minutes so it thickens slightly. Season with salt and pepper. Cook noodles according to package (or use no-cook noodles). In a 9x13-inch casserole dish, spoon in a cup of sauce. Lay 3 noodles on the sauce as the bottom layer. Sprinkle on about half of the cheese, then scoop in half of the remaining sauce. 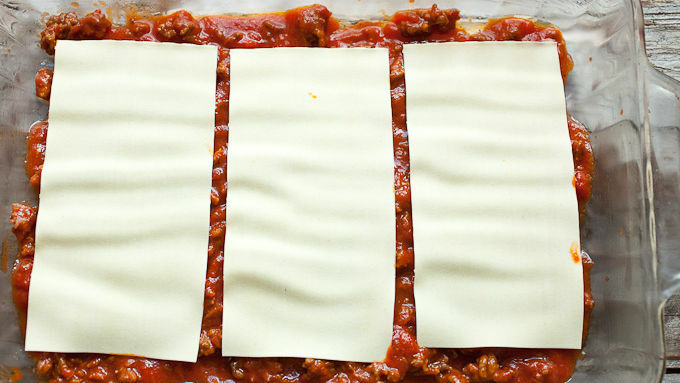 Add another layer of noodles, half of the remaining cheese, the last of the meat sauce, and the last of the cheese. 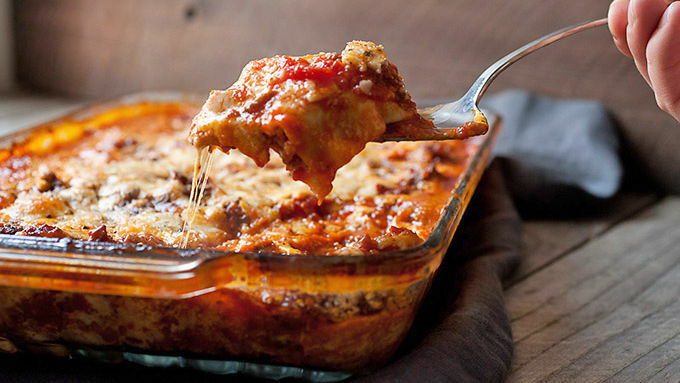 Bake lasagna for 30 minutes until cheese is melted and bubbling. Let cool briefly before serving! Generally, I like my lasagnas cheesy and savory, but I rarely think of adding more spice than a sprinkle of red pepper flakes. This version is far from a dare on the spicy scale, but it has an unexpected kick thanks to spicy sausage and chili sauce (ketchup with a kick). 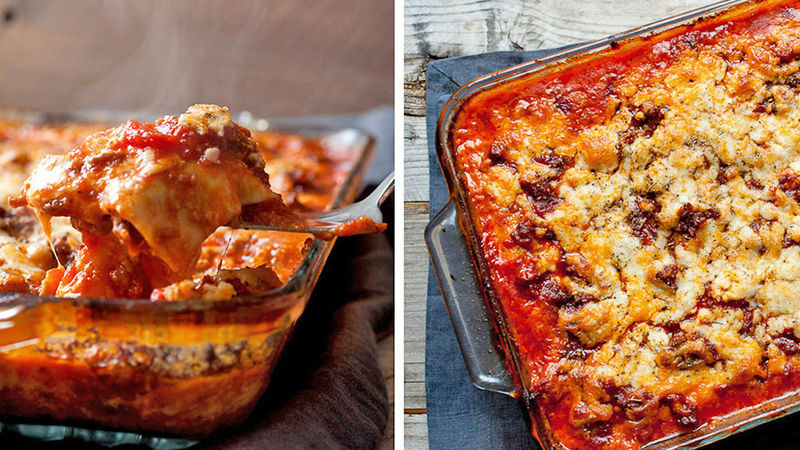 The lasagna is actually super easy to pull together and feeds a hungry group! 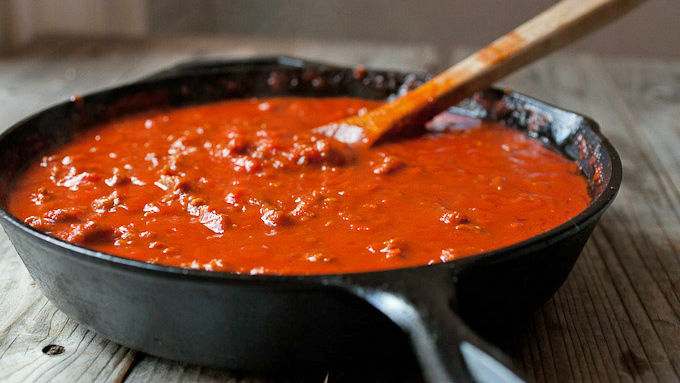 The first flavors are like any lasagna, meaty and cheesy, but then there’s a slight spicy finish that’s a nice touch. It’s addictive stuff and perfect for a chilly winter night!